Ask anyone who’s been here what they associate with Amble and they would probably say The Puffin Festival, good restaurants and the Mad Jam Woman. The Mad Jam Woman (real name Sandy Higson) has been making jams for over 20 years, she started in Rothbury using second-hand jars. “You can’t do that now” she says. Through the Amble Development Trust, she moved to Amble has been here ever since. So what’s new? Not content with scooping up awards for her jams, Sandy is now winning lots of awards for her marmalade. Founded in 2005 the Original Marmalade Awards and Festival is held in March each year at Dalemain, near Penrith in Cumbria. Entries are sent from all over the world. This year the Mad Jam Woman, who is a member of “Produced in Northumberland” won several awards. She got a Commendation for her Lime with Hepple Gin, a Silver medal for Lemon and Lavender and a Silver for her Orange, Ginger and Chilli. She also got a Bronze for the fabulous-sounding Black Rory Coquet Whisky marmalade. Sandy was going back to Penrith this weekend to see what got Gold. The Mad Jam Woman only uses natural ingredients rather than extracts. I asked her naively what was the difference between jam and marmalade? “Marmalade is made from citrus fruit” was the answer. What next? Well the Puffin Festival is looming and if you see her Puffin jam do not be alarmed. No puffin are killed for the making of it. It is blackcurrant jam on the bottom with mango on the top. Yummy. 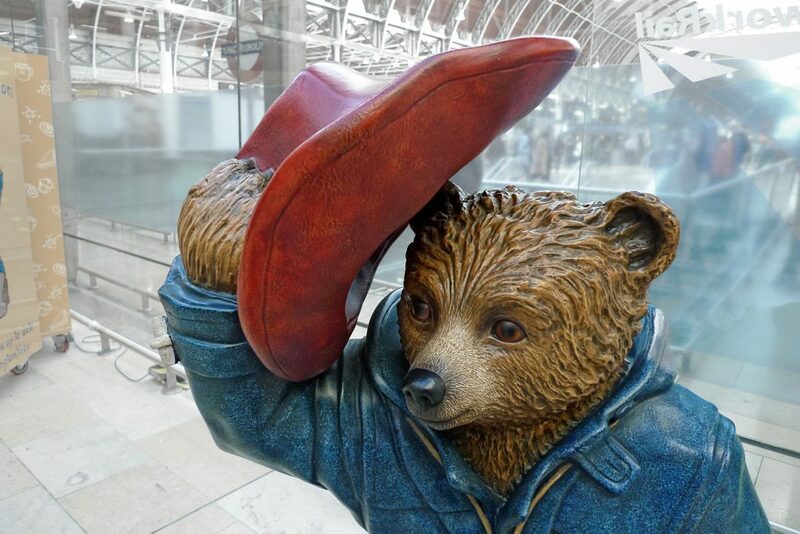 Paddington would approve. Our tastes have changed over the years with a liking for hotter products hence Chilli jam. There may be a Chillifest in the future. Where can you buy the Mad Jam Woman’s produce? Sandy is based in the Fourways but you can also buy in the Seafood Centre in Amble. She sells at County Shows and Tourism Venues and shops in Craster. You can also find the jams and marmalades at the Farmers Market in Morpeth on the first Saturday in the month and hopefully soon at Woodhorn. Support your local economy and enjoy delicious produce at the same time. You are entitled to feel smug while eating them. And happy!